I was recommended this book by my Mum, after she too read The Help and loved it. It is set in the American South in the 60s, and like The Help, is based around the theme of Civil Rights and the unrest surrounding (in)equality between Black and White. Again, like The Help, it has been adapted into a film which I am yet to watch. Now, I know I keep mentioning The Help. I read it early last year and absolutely loved it - best book I've ever read! The film was also amazing, such a great adaptation of the novel with great casting. 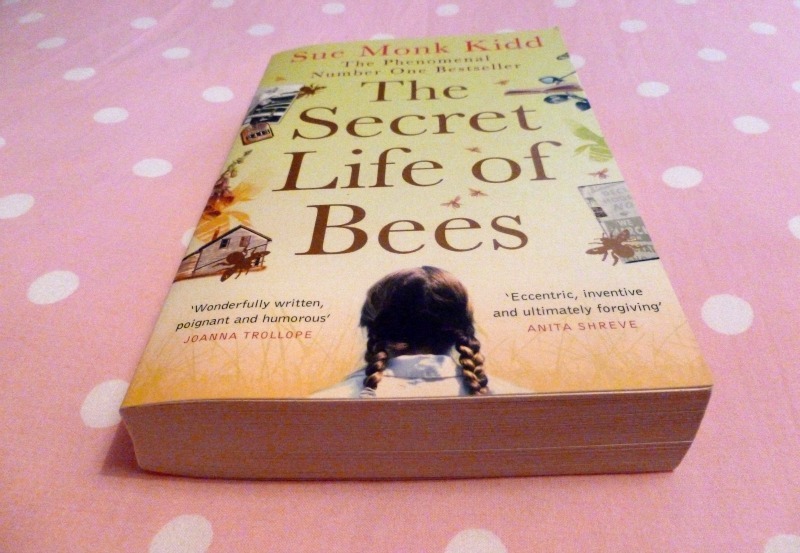 I think because I loved The Help so much, I had high hopes for The Secret Life of Bees. Now I'm not saying I was disappointed - it is a lovely read with an interesting ending - but perhaps a little more slow-paced than I would like. A brief synopsis: Lily is a 14 year old girl who is haunted by the death of her mother. T.Ray is not a particularly loving father, in fact he is abusive, and after a huge argument T.Ray tells Lily she caused her mother's death. This sends Lily into a spin and she decides she has to get away from T.Ray - so she accompanies her Black maid, Rosaleen, to register to vote. Rosaleen gets into some trouble with the local White men which ends up with herself and Lily being arrested. Rosaleen is brutally assaulted. Lily decides now is the time for her and Rosaleen to disappear, and they begin the journey to Tiburon to find out more about Lily's mother. They stay with the Boatwrights - August, June and May - three Black sisters who take in Lily and Rosaleen with open arms. Now this is completely unconventional and socially unacceptable; a white girl to be living alone with four Black women, but Lily settles into life learning about bee-keeping (they own a bee farm) and the Black Madonna honey they produce. The story is based around her relationship with the sisters and finding out more about her mother, alongside a backdrop of civil rights struggles. I did enjoy this book - it is well written, kind, warm and interesting. It isn't particularly fast paced, but tells a nice story with several twists and turns. I personally find the historical element of Black civil rights really interesting, which is what drew me to the book initially. Can anyone recommend any books on a similar theme, or from a different angle? Fiction or non fiction! 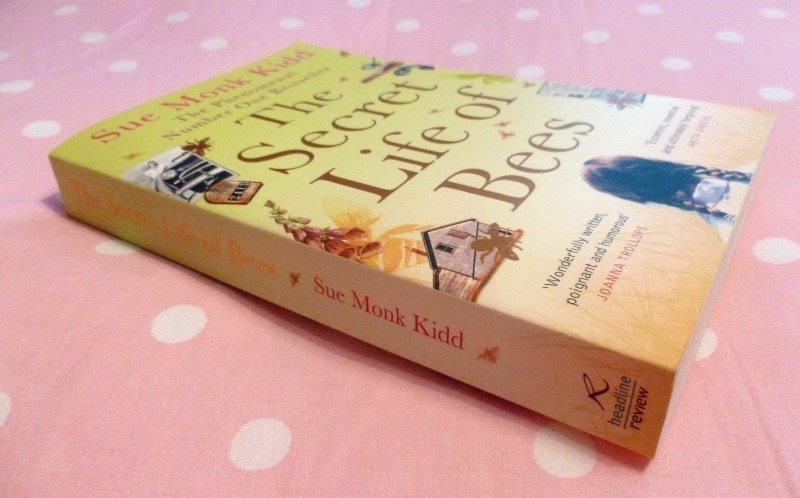 Have you read The Secret Life of Bees? Did you enjoy it? So having broken up for the summer holidays, I've been determined to try some new recipes while I have a little more time in the evenings. 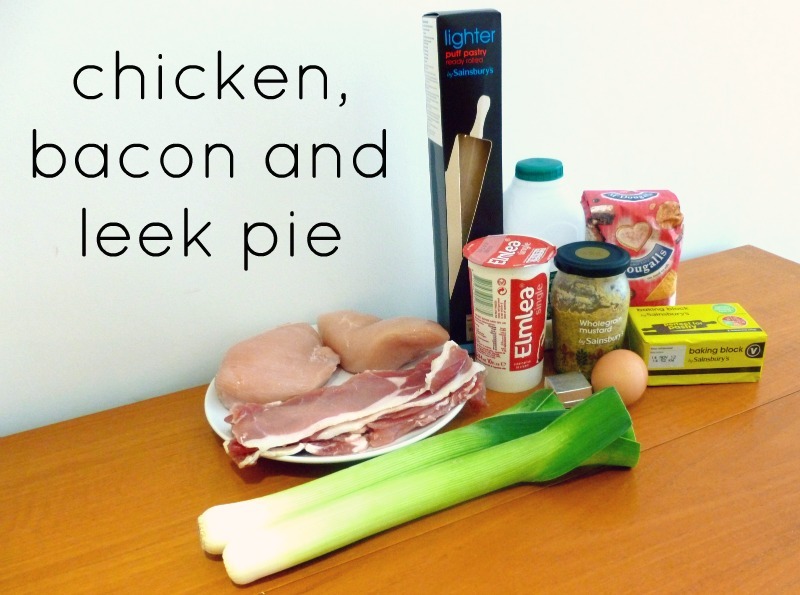 First on my list was to make a pie - from scratch. Having trawled the internet and the Good Housekeeping Cookery Book (holy grail), I put a few recipes together and came up with this. Rich doesn't like mushrooms so I decided to use leeks instead, and thought adding bacon would make another tasty addition. 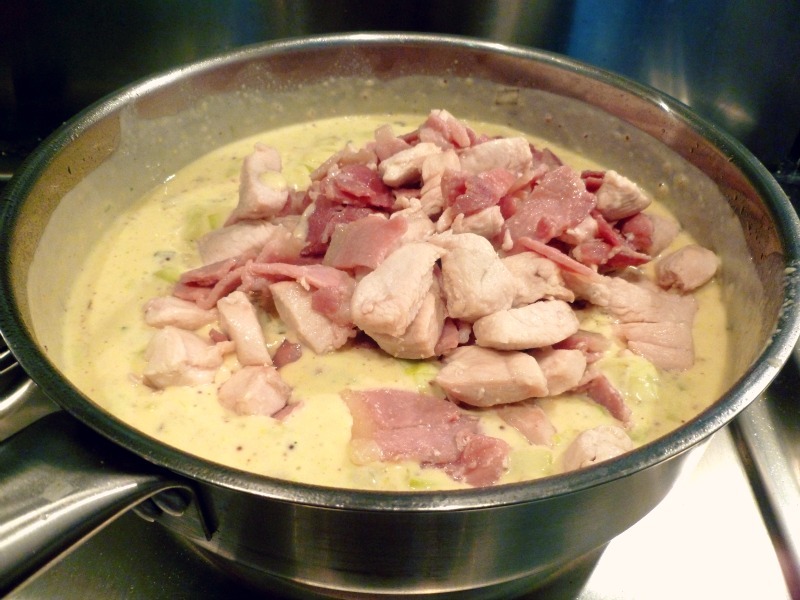 You could use turkey instead of chicken, ham instead of bacon, mushrooms instead of leeks and so on. Adapt it as you want! Another little point; I've used shop bought pastry. I'm pretty sure Delia said this was an acceptable 'cheat' to use, so I'll go with it! By all means, make your own pastry if you wish, but I simply don't have the time or inclination to do so. Start off by cooking your meat. 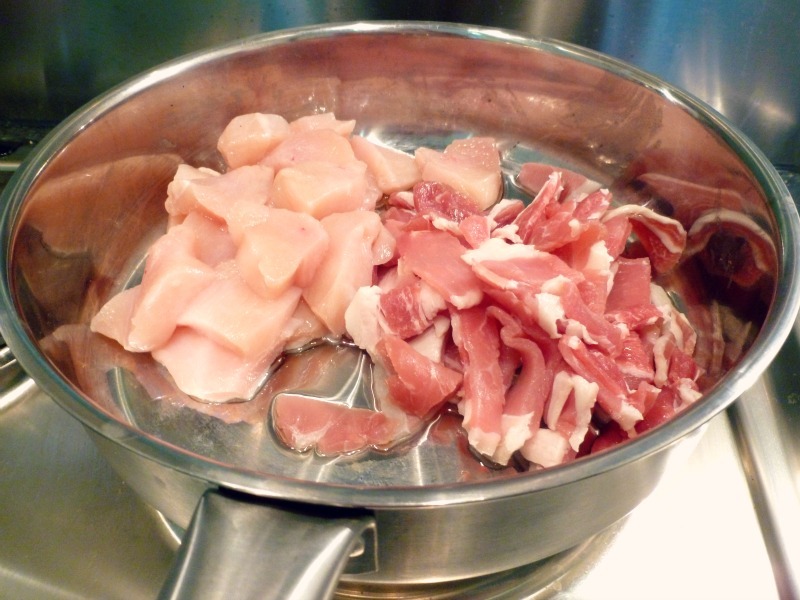 Heat some oil in a pan, then add the chopped chicken and bacon and cook for about 10 minutes on a medium heat. Once cooked, leave to one side. In another pan, melt a knob of butter and add the leeks. Cook for about 10 minutes until the leeks are softened. Sprinkle over the flour and stir for a few minutes - make sure you scrape the bottom of the pan to get all the butter and vegetable juices. Gradually add the milk, stirring continuously until you have a saucy consistency. Add the mustard and cream and sprinkle over a chicken stock cube. Stir until everything is mixed together. 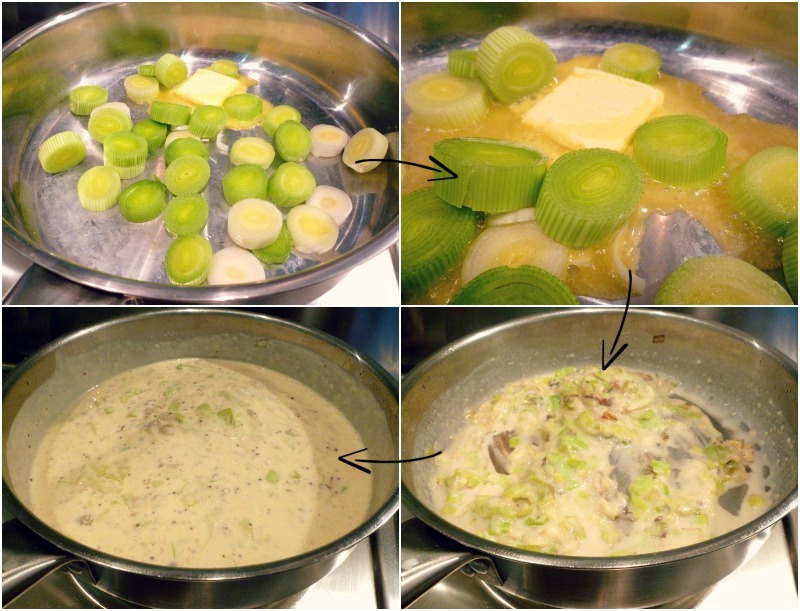 Add the cooked meat to the leek, milk and cream mixture. Take off the heat and leave to cool a little. 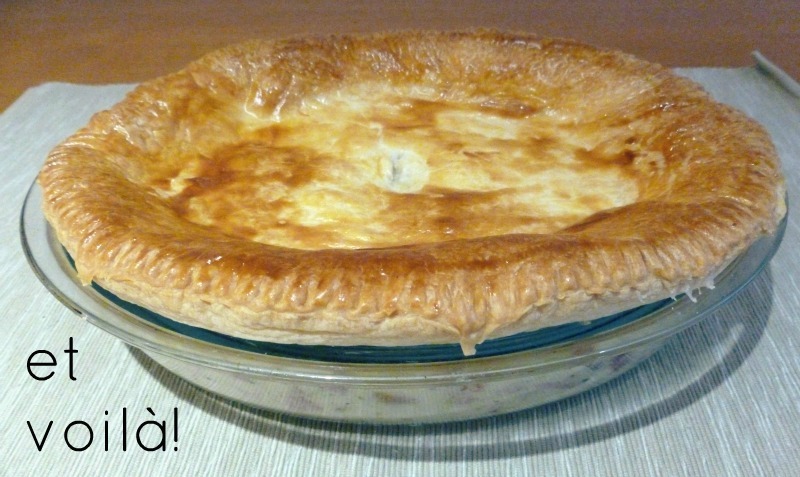 Tip into a dish (I used an oval glass dish) and then place the pre-rolled pastry over the top. Push over the edges and run a sharp knife around the outside to remove any excess. 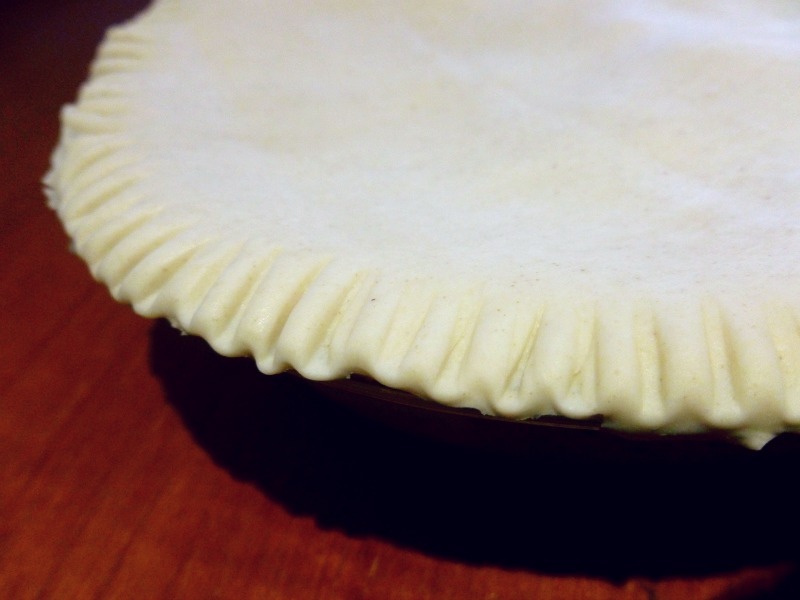 Use a fork to crimp the edges and cut a little breathing hole in the middle of the pastry. Glaze with a beaten egg - if you don't have an egg wash brush, just use your fingers! Pop it in the oven at 190C for about 25 minutes until golden. Serve with mashed potatoes and steamed green veg. Yum! Ok... so I was meant to publish this post about 2 months ago. Doh! I know so many people will have read these by now, but I thought I'd go ahead anyway. I'm not one to miss out on putting my pennies worth in! I have to admit I'm not usually one for tales set in dystopian or futuristic societies. Give me the magic of Harry Potter and the far off lands of Middle Earth (LOTR), but I've never been all that into tales of survival or controlled states. Until now. Like millions of others, I absolutely loved The Hunger Games. Granted, it took me a few chapters to really get into the first book - I wasn't hooked right away - as Collins describes Panem, the Capitol and The Hunger Games themselves. There was no Tolkein-esque description but felt it started quite slowly. Soon enough though I as hooked and flew through the remainder of the book. I really like Katniss's character, again it took me some time to warm to her in the first book, but as the Games developed I was able to see past her somewhat stern and almost heartless exterior. Her relationship with Peeta really intrigued me, and loved how it developed throughout the three books, with many twists and turns. 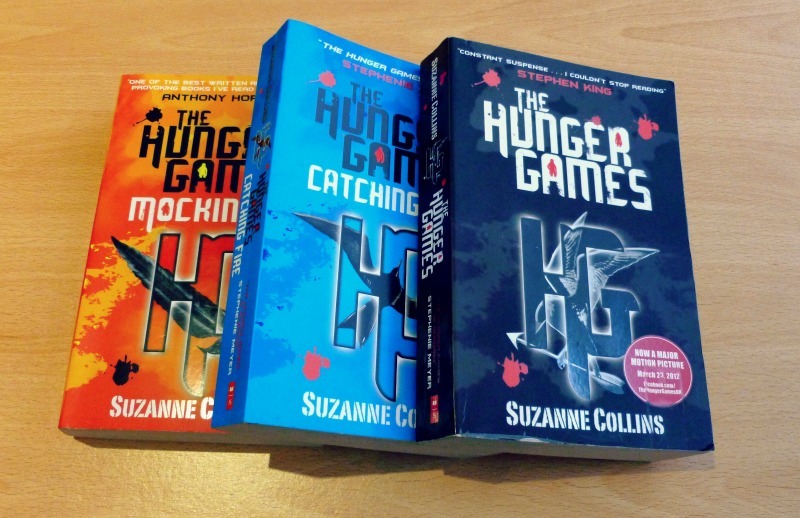 I am usually a really slow reader; I read before bed and am often so knackered I fall asleep pretty quickly, but The Hunger Games trilogy kept me hooked and up way past my bedtime! All three books are a really easy read with a great storyline and concept. I've not seen the film as wanted to read the book first, but can't wait to go and see it now. I've heard great things! 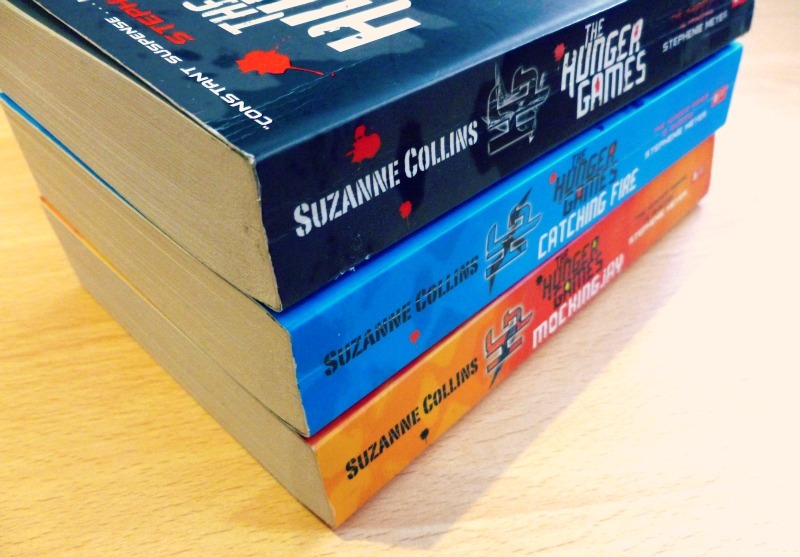 Have you read any of the Hunger Games books? What did you think? 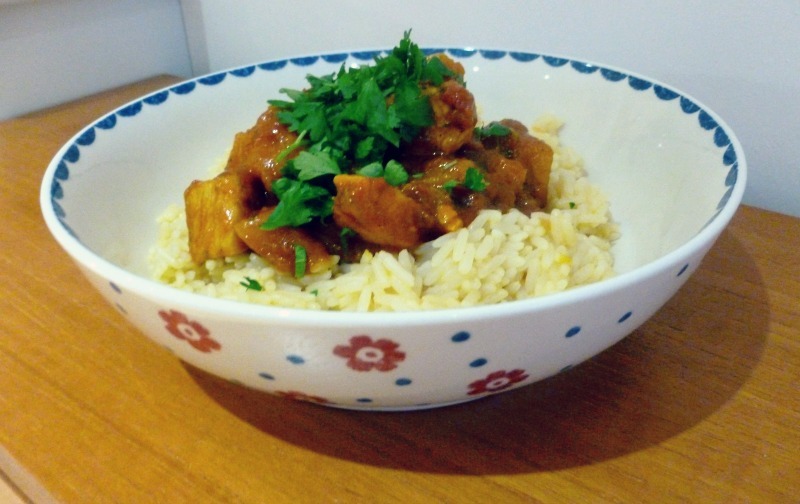 So I got it into my head the other day that I needed to make this curry. I hadn't seen a recipe anywhere, so not sure where the idea came from but after a little searching online I came across some help. It was really really tasty, so would definitely recommend making it! 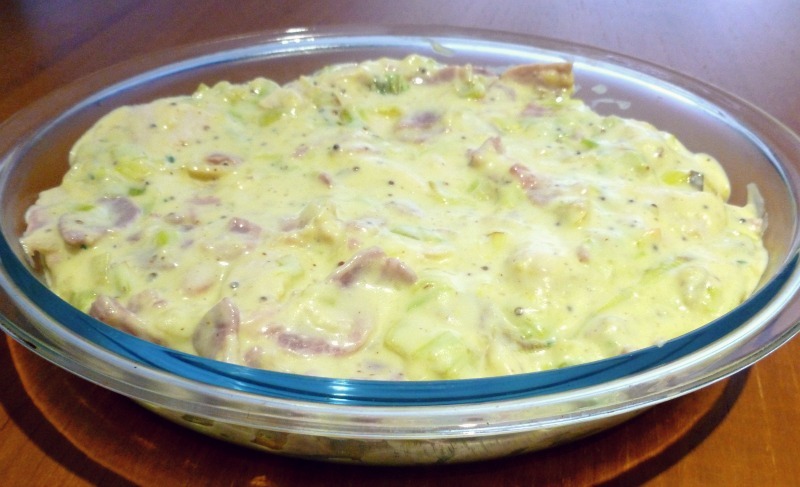 This made about four portions, so is great to pop in the freezer and cook again another time. 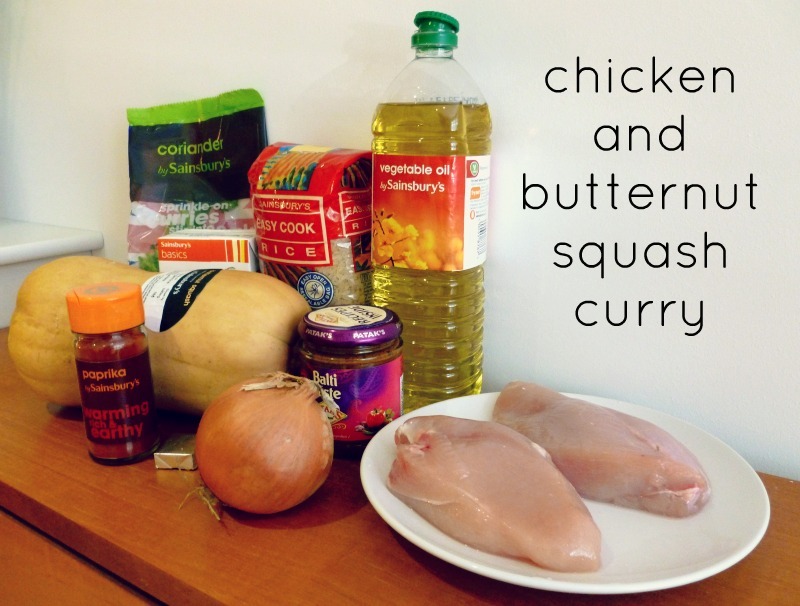 So in terms of how much chicken and butternut you should use... it's really up to you! 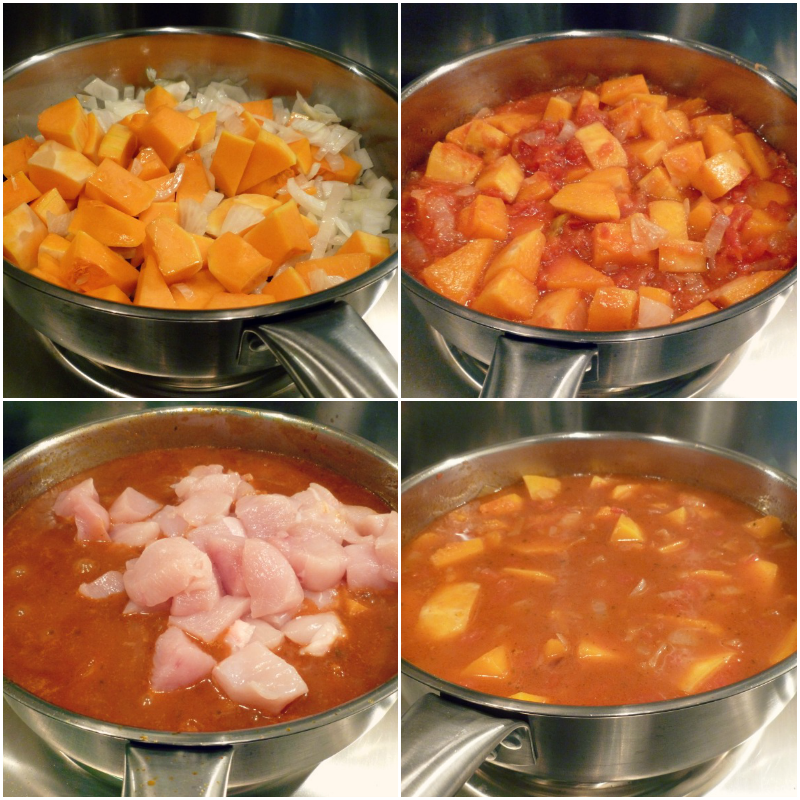 I used half of the butternut squash shown in the picture and 2 chicken breasts. You can use more or less of each depending on what balance you want. 1. Chop the butternut squash and de-seed. The recipe I used said to put it in raw, but it look literally ages to cook, so I would recommend either par-boiling or roasting it first. I think I will try roasting it next time as this is my favourite way of cooking butternut squash and will really add to the flavour! 4. Stir in the paprika, curry paste and stock and bring to the boil. 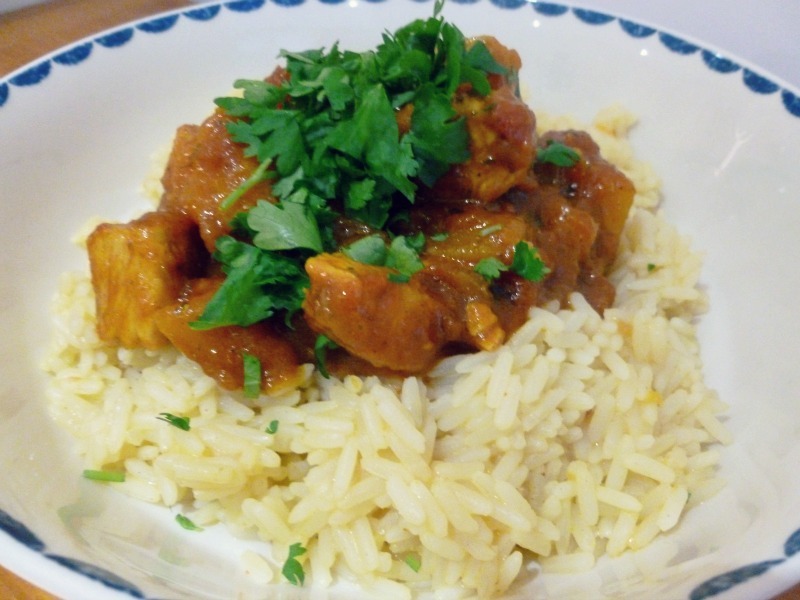 I used balti curry paste as it is a medium heat, but you can use any you like. I also used a bit more than 2 tablespoons - again it is all to personal taste! 5. Add the chicken and leave to simmer for about 30 minutes, covering with a lid halfway through. And voila! I hope you enjoy this as much as I did!